Developing a solid social media marketing strategy is a crucial element for any business hoping to become a competitive leader in its field. A social media management plan should always be in place and up-to-date in order to achieve goals and remain a worthwhile endeavor. Before sitting down and working out a plan, there are several questions that should be answered clearly or else the social media plan will likely fall short of its goals. Using social media without a clear plan can actually be detrimental to business. When building a social media strategy from scratch, looking at what your direct competitors are doing with their social media is a good place to get ideas about what works and what doesn’t. Is there anything they are doing that is working particularly well that you would want to incorporate into your own social media strategy? With so many different social media platforms offering different ways to reach customers, it’s a good idea to watch the competition closely in an effort to learn how to utilize each platform to the best of its abilities. Looking at what your potential customers are seeing from other brands is the single best way to see what you’re up against in the realm of social media. If your business is currently using social media but lacks a concrete plan, listen to what your customers are asking for who are already engaged on your social media sites. Do certain types of posts get larger responses than others? All of this type of data should be tracked if it isn’t being tracked already. Unmetric has access to the social media efforts of over 30,000 brands across 30 industries and the most popular social media networks, with features like campaign intelligence and Inspire. Marketers can be fully equipped to push their brand forward. The next step is arguably one of the most important steps in developing a successful social media strategy or campaign. Define your goals. What is the end result you are trying to achieve by using social media? Until this question is answered, no plan will be effective because it can’t be measured against what it’s supposed to achieve. Social media can do a lot for a business such as building brand awareness, increasing sales or sales leads, and creating a feeling of loyalty among existing customers. Do you plan to use social media for one or all of these goals? The goals and desired outcomes should be clearly defined so that a plan can be built around them to support them. 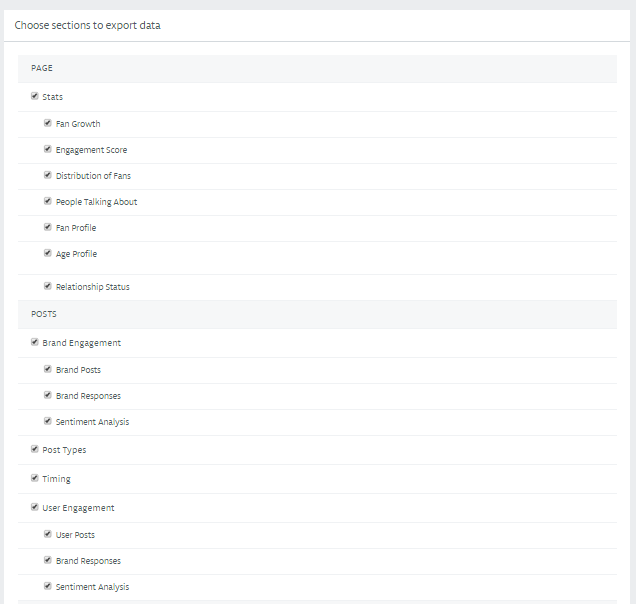 Unmetric has a customizable reporting feature, where all or selected metrics such as Fan Growth, Engagement score, Post Types, Campaign post types and more can be exported into a single excel file or power point with a click of a button. Keeping track of monthly performance and creating reports with ease. In order to implement a plan that is designed to achieve certain goals, a way to measure the success of the social media strategies must be established. What metrics will you be using to track the impact that your social media marketing strategy is having on business? What methods will you use to determine the effectiveness of different campaigns? There are many different data points that should be tracked with each social media campaign on each social media site. That being said, not all data points should be treated equally. Putting too much emphasis on the wrong data points can lead your social media endeavors down the wrong path. Determining how success and effectiveness are measured in social media campaigns is crucial for focusing efforts where the highest return is available. Your metrics will determine how your social media plan changes over time according to trends. Because social media is a rapidly evolving animal, tracking trends is important to stay on the leading edge of change and remain competitive. It is also beneficial to set milestones and goals based on what other competitors in the marketplace have already achieved. This is useful for both general social media marketing plans and highly targeted campaigns. Before designing and implementing a social media management plan, figure out the demographics of both your current customer base and your prospective, or desired, customer base. Who have you already effectively reached and how? Do your competitors have a different customer base that you would like to tap into? Who do you want to reach and what is the best way to do that? Is your desired demographic demanding faster service? How does your current customer demographic compare with competitors’ demographics? Getting a clear picture of the demographics of your customers will tell you what type of social media campaigns will be most effective. Different social media sites can appeal to different demographics, but you won’t be able to utilize specific sites to the fullest of their ability without first understanding your target audience. Using the Unmetric stats page, one can easily find the demographic of any of the top 30,000 brands across the world on social media. 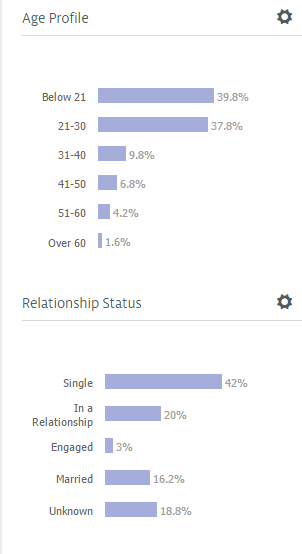 Not only are details like percentage of female users, but also stats like age and relationship status are given. 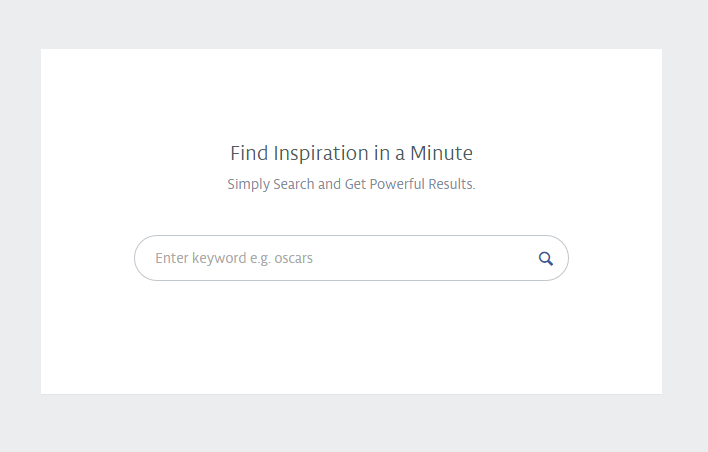 Unmetric takes things a step further by also helping you find brands with a similar demographic so you can identify how other brands that target a similar demographic connect with their communities. Understand that social media functions differently than a website. People use social media as a means of interaction rather that a resource to simply look up information. While you want to promote your brand, product or service through social media, you don’t want to simply mimic what could be found on your brand’s website. Social media sites are designed for interaction so keep that in mind when developing an action plan. Customers should able to feel connected via your social media sites. Personal interaction and the offering of enriching and useful, shareable content should be at the forefront of any social media marketing plan. Unmetric works with many of the largest brands and leading agencies in the world to help them plan effective social media strategies. Discover for yourself the powerful metrics that these companies already yourself. Check all of these features for yourself, by taking Unmetric for a spin. Click below to get a free trial or demo of the platform.